I could read and write before I went to school – my Mum taught me using comics, I seem to recall, and I remember writing my name in big bold capitals – JOHN – before my aunt, who was a teacher, told my mother off for not teaching me to write lower case letters first. So when I went to school, I had a slight advantage, and was always treated as an advanced reader. I burned through school reading books faster than they could assign them to me, so my teachers used to have to dig out other books for me to read. When I was around seven years old, my teacher gave me a book that contained tales from mythology – Thor and his hammer from Norse mythology, Finn MacCoull from Celtic legend, and Beowulf from the Anglo-Saxons. How I loved those stories! 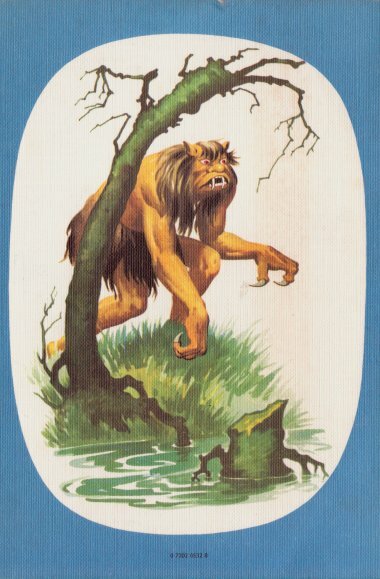 The memory of that book stuck with me for decades, although of course I couldn’t remember what it was called, or who it was by. It’s been nearly 40 years since I read that book, but even now I have a fascination for myths, legends, fantasy, and history. I studied Classics at university because I was obsessed with Greek and Roman mythology. Of the six books I’ve written, five have been fantasy, and one history. This book is my origin story – this is the bat bursting through young Bruce Wayne’s window; this is my radioactive spider-bite. So of course it was extremely annoying that I couldn’t remember what the book was called. 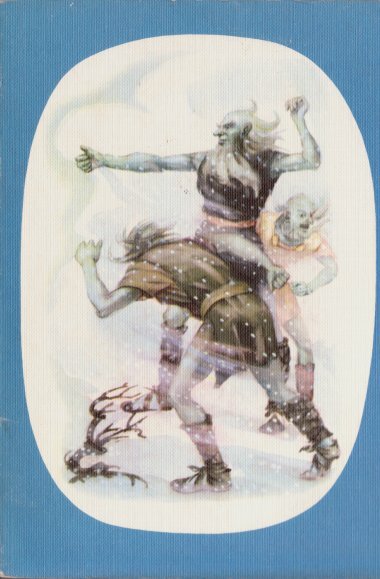 I tried searching on the Internet, but I didn’t have much to go on – it was a school reading book available in the early 1970s, and it had Beowulf, Finn and Thor in it. Then I got lucky, and found a mention on a web page of a book that had similar myths – it was called They Were Brave and Bold. It didn’t sound quite right – it seemed very American, from an American publisher, and I recall the stories being very European – but I ordered a second-hand copy from Abebooks, just in case. It wasn’t the right book. It didn’t have Beowulf, Finn, or Thor. All the stories were from North America. Further research suggested that this was a cut-down paperback version of a previously-published, much larger hardback. But I was pretty sure the book I’d read hadn’t been a big thick book at all. More trawling through the listings at Abebooks brought another edition to light. Another paperback, but with a different selection of stories – and it was issued by a British publisher. 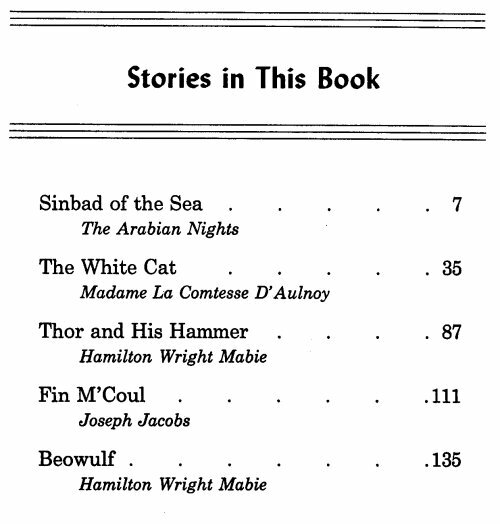 James Nisbet published the Janet and John series of early reading books, so they definitely had a connection with British schools. This was looking promising! It’s called Brave and Bold (note the omission of “They Were” from the title) and the authors (although I presume in this case, editors would be the more appropriate term) are listed as Miriam Blanton Huber, Frank Seely Salisbury, and Charlotte Huber (the same editors as the other, American, editions). Thor! Finn! Beowulf! There was just one more thing I needed to check. I remembered that the Thor story involved the theft of Thor’s wife’s hair, and its replacement by the dwarfs with a golden wig… was that in there? If that was included, there could be no doubt. I read through the rest of the book. The story of Finn disguising himself as his own baby and pretending to squeeze water out of a stone – that had stuck in my mind, too. 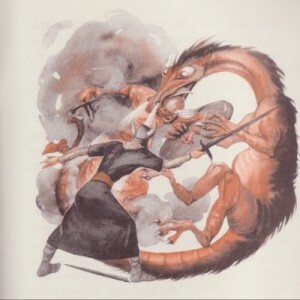 Beowulf and the dragon – that was so familiar. 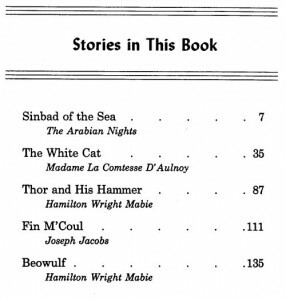 Strangely, I had no recollection of the Sinbad story, or The White Cat – although my Mum had a beautiful volume of The Arabian Nights with fantastic glossy colour plates in it that I read over and over when I was young, so that may have pushed out the earlier memories of Sinbad. The White Cat is a delightful fairy tale that is apparently related to the Brothers Grimm’s Puddocky and also to The Frog Princess, but perhaps 44-year-old John appreciates it more than 7-year-old John did. The illustrations – by Florence and Margaret Hoopes – are beautiful. From the frost-giants on the cover to Grendel on the back, through all the full-colour pictures that accompany each story, each picture fits perfectly. The Beowulf story in particular has pictures full of dynamism and energy. I’m so glad that I’ve found this book at last. Not just for the nostalgia, but for the influence it had on me as a young reader. I must have read hundreds of books in those very early years, but this is the only one that’s stuck with me – and now I have my own copy. I’ve been chasing this book for several years now; I read it at school in much the same way as you, although possibly slightly earlier, and it had a similar impact. I’m now trying to track down a copy of my own, but all I can find is the large U.S. Version. Do you have any more details of your version? Many thanks John; hopefully I’ve now tracked down a copy. This will bring back so many memories. Thanks so much for posting! WOW! The book that started the flame inside me. Thank you SO much for the information. Tracked one down and ordered it today, the end of a thirty year search! Your best option is to keep an eye on abebooks.co.uk – that’s where I found my copy. You just have to be careful – the similar-sounding “They Were Brave and Bold” by the same authors has a different, American-centric, selection of stories. Look for the edition called simply “Brave and Bold” with the 1968 publication date.